About one-third of the US population of seniors (those over 65) experience a fall each year. At age 80, that number rises to roughly 50%. 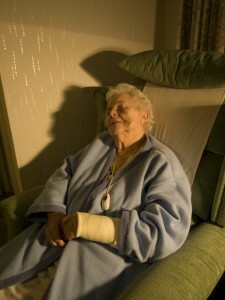 Falls account for 25% of hospital admissions and approximately 40% of nursing home admissions. Avoiding falls could be the single most important step you take in continuing to live at home as you age. “Being careful” isn’t enough to avoid falling. Falls are not a “normal” part of aging. Ignoring them, and not telling your children or your doctors won’t aid you in the long run. The goal is to determine WHY the fall happened, and make adjustments to prevent it from happening again. It could be the physical environment, medication, or physical strength and balance that cause you to fall. Working with Andrew Sever will reveal where your greatest risks for falling are. Whether you’ve recovered from a fall already or whether you’re trying to prevent a fall, Andrew will bring new understanding of your risks and give you actionable steps to take to protect yourself. Falls are not a “normal” part of aging.